Investment Opportunity - An epic sea adventure...an impossible challenge...a compelling love triangle between a man, a woman and a ship. And it's all true. Anyone who tells you they have a “sure thing” investment in film making is either a liar or a fool. “Ishtar” and “Heaven’s Gate” are only two of many examples of big budget films with bankable stars that did not return a penny to their backers. On the other hand, Don Shebib’s “Goin’ Down the Road”, Dennis Hopper’s “Easy Rider” and “Slumdog Milliionaire” are just a few of many examples of low budget films that returned millions to those who provided funding to the project. Film making is high risk…high reward. Ideal investors will be an organizations or individuals with sufficient capital resources to take this risk. If their money propels the project forward then they could conceivably double their capital investment and also gain the satisfaction of knowing that their entrepreneurial spirit was a key catalyst in bringing this story to the screen. If, for any reason, they were to lose their funds then it hopefully would be a tax write-off against other income sources. 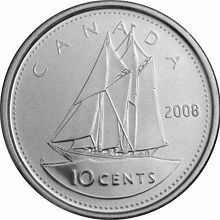 The projected capital requirement to make Bluenose! is between 15 to 20 million dollars. Because the story is global in scope, an international co-production is a very viable option with access to grants from government bodies dedicated to securing work for their country’s film industry. Moreover, significant interest has been shown in countries such as Britain, Australia and the United States by established actors and directors eager to participate. Capital return can be structured to the investor’s preference. Participation in the production of the film, a loan with a pre-set repayment schedule, or a percentage of producer profits over a negotiated period of time are all possible scenarios.